This is a little bit about the wonderful new book I have got with dyeing with natural plants, it is written by Rebecca Burgess. This is a little bit about the book and the author. Take a look, when I have finished reading it from cover to cover I will let you know what I think and some tips. Beautiful natural dyes from plants found in the wild or grown in your own backyard. As more and more crafters are discovering, dyeing your own fabric can yield gorgeous colors. Now master dyer Rebecca Burgess identifies 36 plants that will yield beautiful natural shades and shows how easy it is to make the dyes. Pokeweed creates a vibrant magenta, while a range of soft lavender shades is created from elderberries; indigo yields a bright blue, and coyote brush creates stunning sunny yellows. Harvesting Color explains where to find these plants in the wild (and for those that can be grown in your backyard, how to nurture them) and the best time and way to harvest them; maps show the range of each plant in the United States and Canada. For the dyeing itself, Burgess describes the simple equipment needed and provides a master dye recipe. The book is organized seasonally; as an added bonus, each section contains a knitting project using wools colored with dyes from plants harvested during that time of the year. With breathtaking color photographs by Paige Green throughout, Harvesting Color is an essential guide to this growing field, for crafters and DIYers; for ecologists and botanists; and for artists, textile designers, and art students. 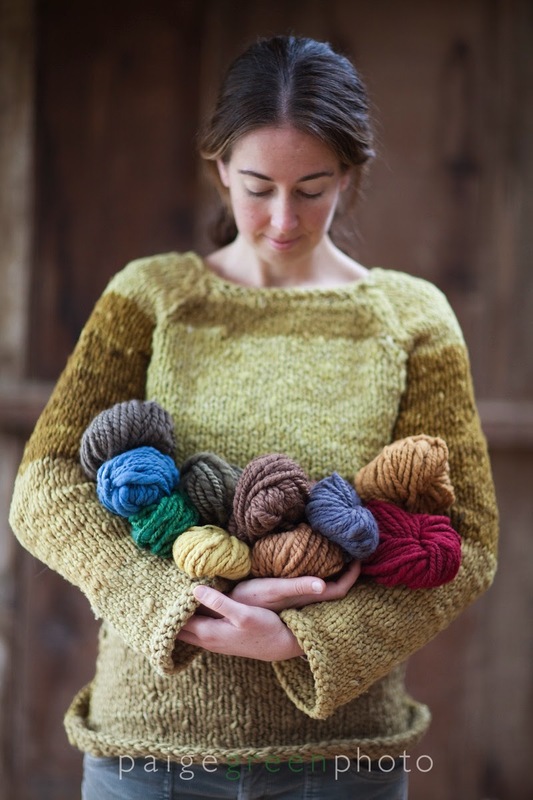 Rebecca Burgess is a teacher and natural dye artisan who has worked for more than ten years creating recipes from local flora. She teaches natural dye workshops throughout the country, to crafters, ecologists, and art students, as well as to apparel giants like Levi Strauss. Rebecca is also the founder of EcologicalArts, an organization dedicated to creating, revitalizing, and teaching functional art forms that utilize natural raw materials. She lives in San Geronimo, California. Take a look and Happy Stitching! 1st December and counting down to Christmas!! Christmas makes finished.... orders gone out. Preparing for my last stitching of the year! Vintage china and mother of pearl buttons! Sarah Braithwaite .... You won the Shaker box! Gun Powder Treason and Plot!